The month of November is officially now on deck, a.k.a almost 1 FULL YEAR OF BLOGGING, so I decided that it's time to make a new investment. Call me waaaay overdue, because yes I'm soooo overdue, but I'm so excited to announce that I finally made the white Canon EOS Rebel SL1 mine. So what does this mean? No more ratchet iPhone pix, finding my niche, teaching myself how to utilize Photoshop, lots of research on new lenses, and having tons + tons of questions. Got any tips or tricks? Send them my way! Naturally, I stayed in all weekend to play (thank you Hurricane Joaquin). But due to the sh*tty weather, here's a few snaps I took inside the house. For the record, this is the first time I've ever held a DSLR in my own two hands/taken any pictures with one. I'm no DSLR pro but I'm definitely impressed! 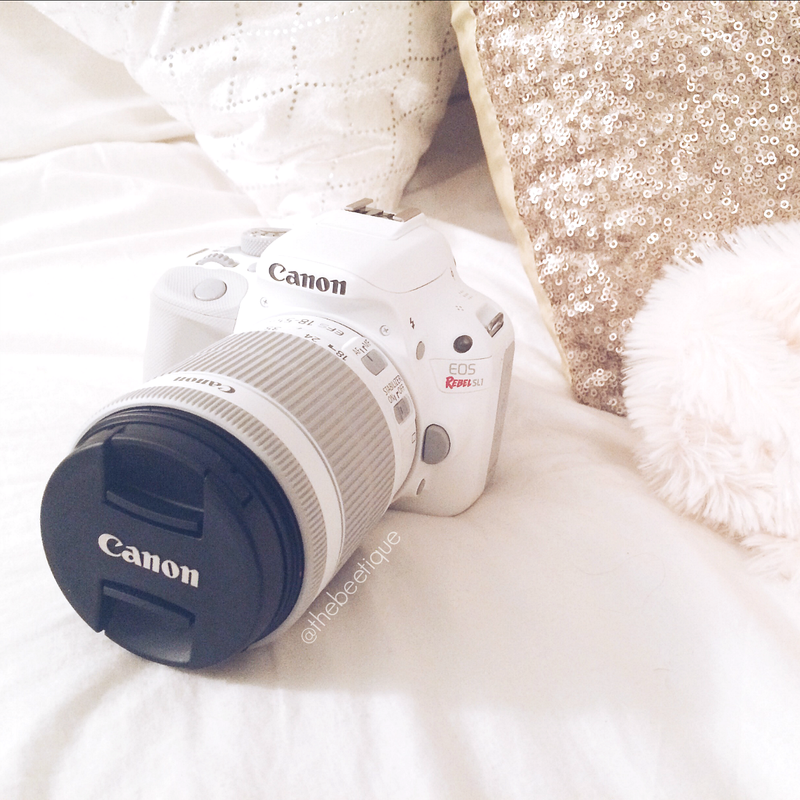 7 comments on "My First [white] DSLR :: Canon EOS Rebel SL1"